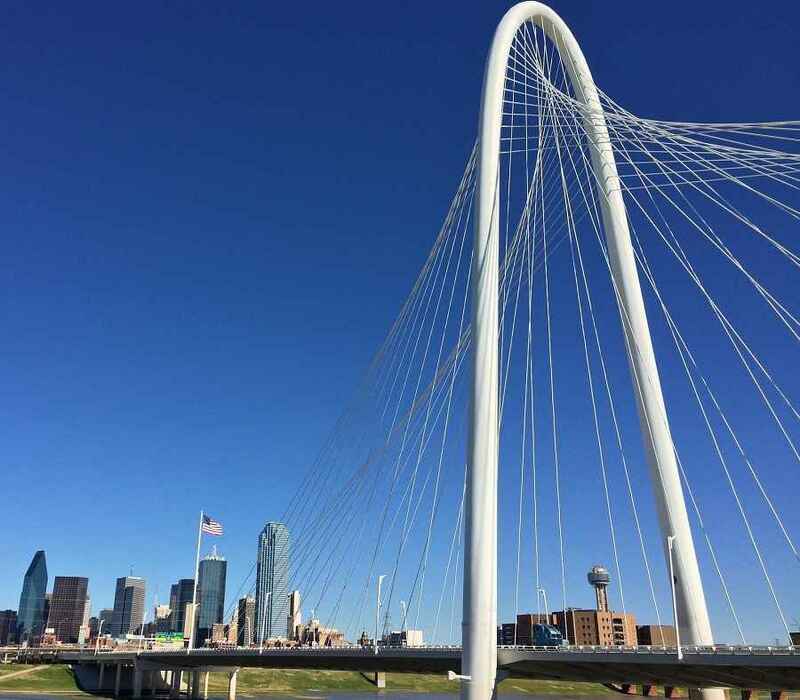 Get to know this diverse and culturally rich city by renting a car in Dallas from Sixt. Our large selection of rental cars and affordable rates ensure you see and do everything you wish while staying in this Texan gem. You can arrange your car rental in Dallas at any of our convenient locations including Dallas/Fort Worth Airport. Our diverse fleet provides plenty of options for car rental in Dallas from top brands such as Chevrolet, Cadillac, and BMW. Reservations can also be tailored with useful add-ons such as additional driver coverage, unlimited mileage or a child seat. If you are traveling with the family or a group, a minivan or SUV can give you the spacious comfort you need. A weekend away can be made special with a luxury or convertible car rental. Rent a luxury sedan to drive around Dallas in style or stay on budget with a practical economy car. Everything is bigger in Texas, so choose a pickup truck for plenty of room for you and your luggage. Driving in Dallas can be a challenge so we recommend making use of a GPS and traffic apps on your smartphone to stay up to date about congestion. The Mixmaster is particularly tricky as you need to be aware of which lane will allow you to exit towards your desired destination. In general, traffic tends to be worse mornings heading into the city and away from the city centers in the evening. Plan your route ahead of time to make sure you know how to or can pay for any electronic toll roads you may encounter along your route. A car rental in Dallas allows you to drive to destinations where you can spend some time outside of the car as well. The Dallas Arboretum and Botanical Gardens are one of the city's highest-rated tourist attractions. This 66-acre park, located in East Dallas, has a range of beautiful gardens which are home to exotic plants. The area also is home to the "Texas Pioneer Adventure" which is comprised of replicas of Texan prairie life and is perfect for children. Driving to the Fort Worth Stockyards is another fun outing to undertake with your car rental in Dallas. A hub for music, dining and experiencing country western living you can take a day trip to explore the area. Get into the Texas spirit by catching a rodeo at the Cowtown Coliseum or watch the cowboys work during the daily cow drive. The winter weather here can be erratic, with temperatures swinging between the low 60s and the low 40s. These mild temperatures, with little rain, mean you can enjoy the best of what Dallas has to offer. If you like roller coasters, you can visit the Six Flags Over Texas park on the edge of the city, which is open in December and then again at the end of February. For a taste of real winter, head to the Gaylord Texas Resort to see the ice sculptures and lavish decorations leading up to Christmas. Indoor activities during the winter include the Dallas Museum of Art, the Frontiers of Flight Museum and the George W. Bush Presidential Center. Rent a luxury sedan to drive around Dallas in style. Dallas has created a business-friendly environment and is home around 18 Fortune 500 companies plus to a vibrant entrepreneurial community. With a rental vehicle, you can easily move about and make it to client meetings and events. The startup scene is also growing in the Big D and there are regular meetups like Dallas New Tech and Startup Grind Dallas, where technology professionals can network. It is also worth checking out what is happening at the Dallas Regional Chamber which offers programs and events exploring the future of business and innovation in the area.